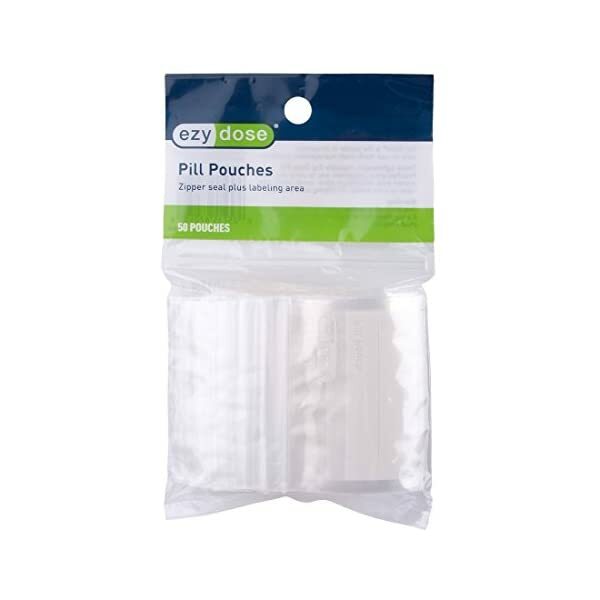 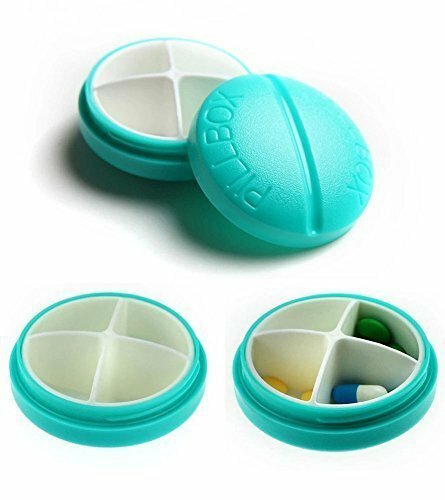 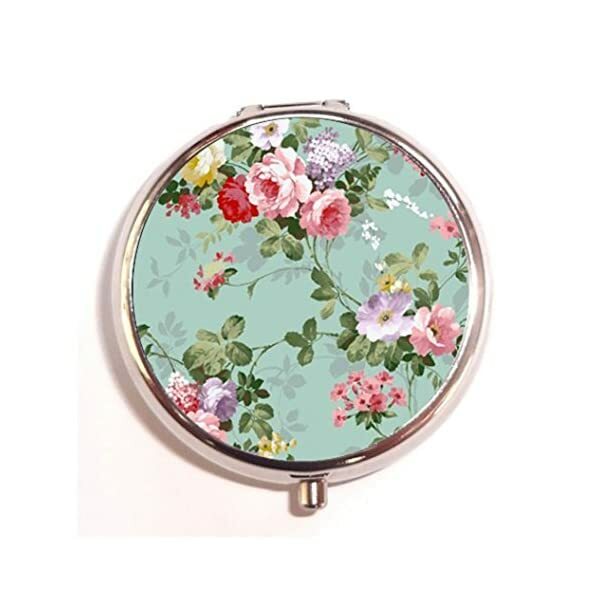 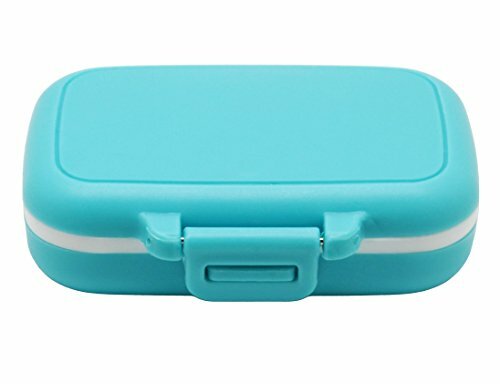 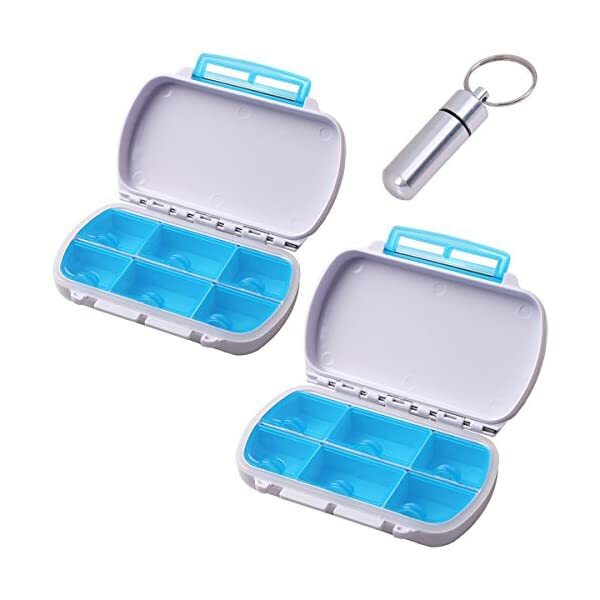 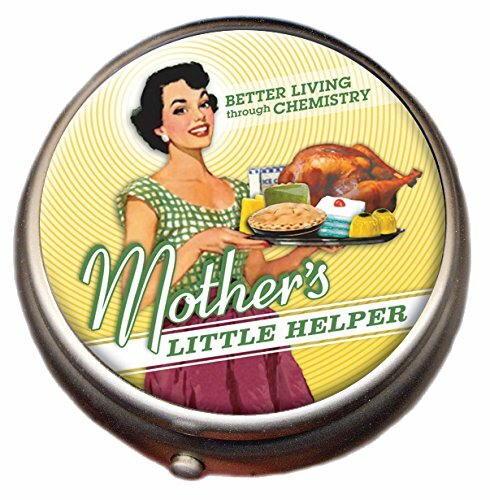 This pill box is the perfect place to keep your vitamins, tiny mints, or whatever pick-me-ups give you the strength and determination you need to get the job done. 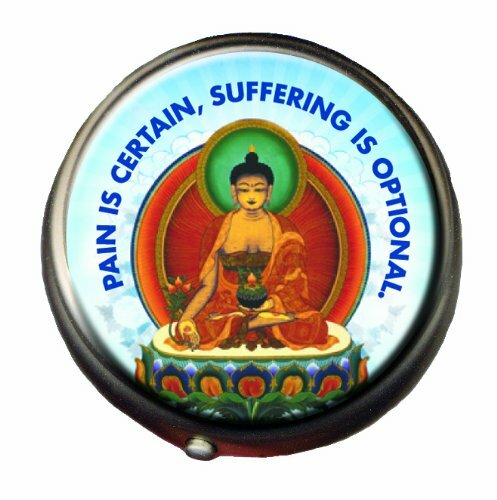 You can do it. 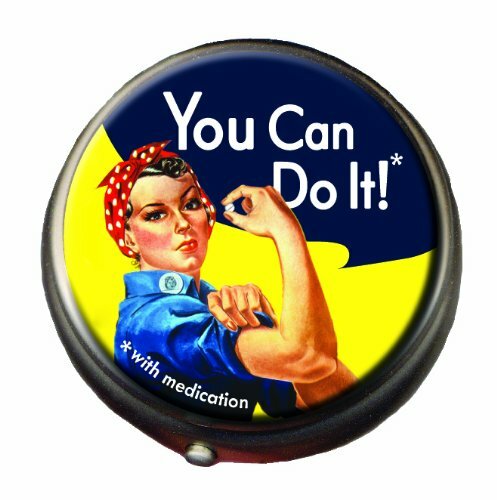 The Rosie the Riveter Pill Box is 2″ in diameter and 5/8″ tall with two compartments – one for the day and the other for the swing shift.